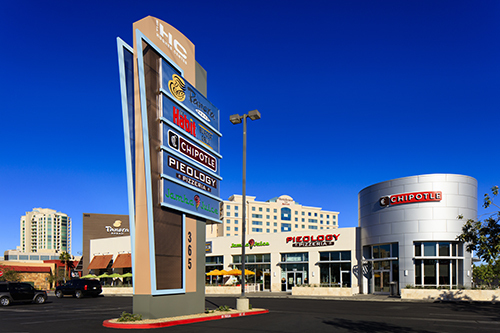 The Hughes Center Retail strip is 12,002 sf and sits on a 1.5 acre site. Construction on the project involved demolishing an existing restaurant to construct a single building that contains five quick-serve restaurants. 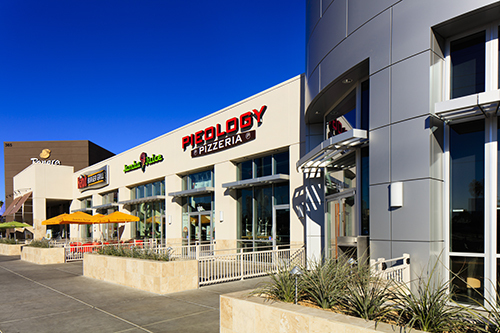 The Hughes Center is surrounded by sit down formal dining restaurants, so convenient quick-serve restaurants are in high demand for this location, especially for the employees that occupy the nearly 1.4 million square foot of adjacent class A office space within the Hughes Center complex. 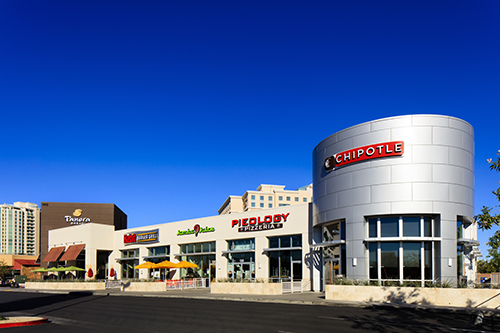 Tenants for the new buildings include Chipotle, Pieology, Habit Burger, Jamba Juice and Panera Bread. The building has unique architectural features including curved entry elements with metal clad panels that add a modern look to the building. Each restaurant has separate patio areas for convenient outdoor seating. 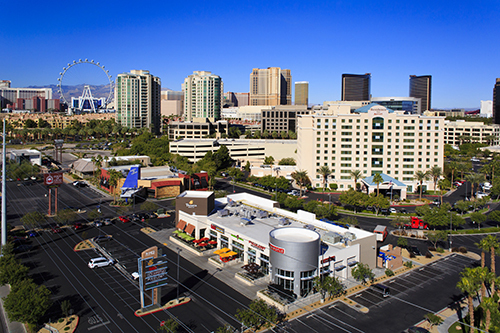 The property is accessible directly from Flamingo Road and also connects to the Hughes Center Complex.